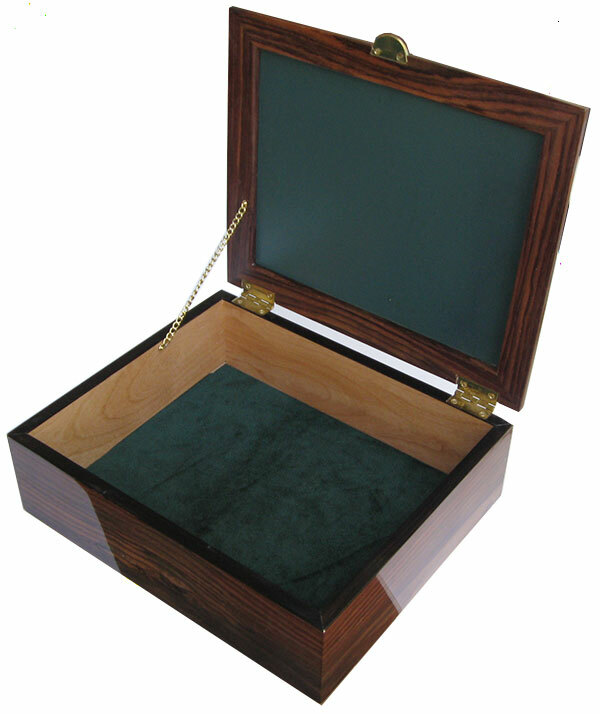 11-13/16" x 9-9/16" X 3-1/8"
This box is made of a thick East Indian rosewood veneer laminated over alder. 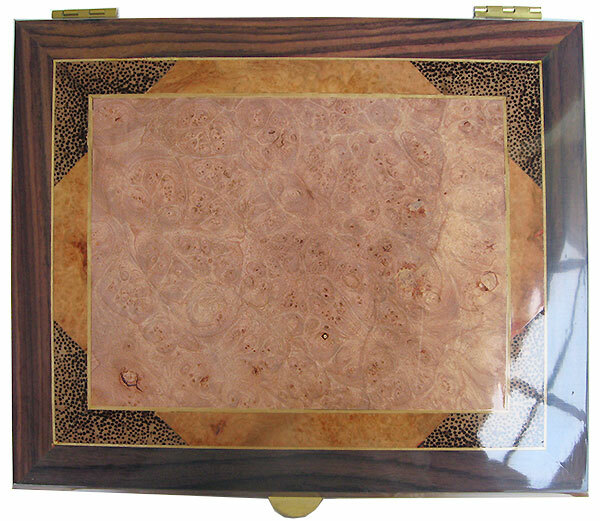 Top is maple burl center framed in amboyna burl and black palm with Ceylon satinwood stringings. 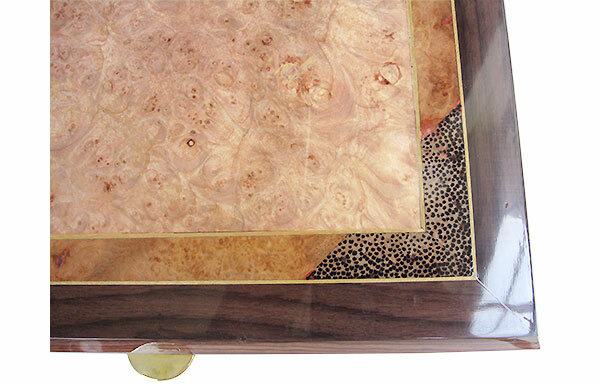 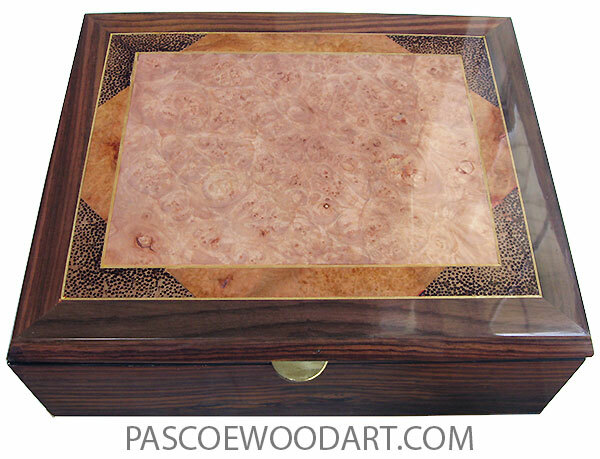 Indivisually handmade wood box, made of East Indian rosewood, Maple burl, Black Palm and Amboyna Burl.